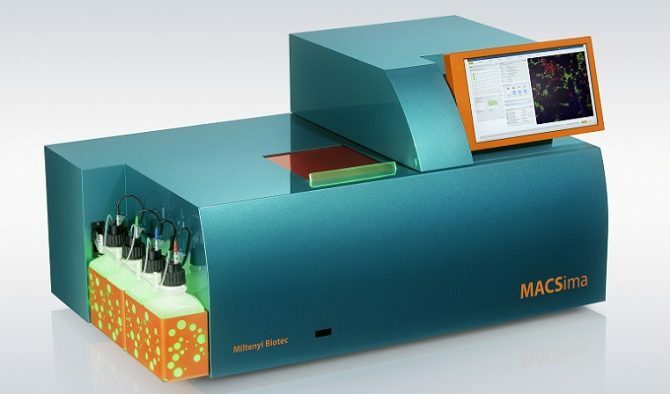 Bergisch Gladbach/New Delhi: Miltenyi Biotec, a global provider of products and services for biomedical research and cellular therapy, has introduced its new platform for fully automated, ultrahigh-content imaging at the AACR Annual Meeting 2019 in Atlanta, USA: the MACSima™ Imaging Platform. The MACSima™ Imaging Platform is the latest addition to Miltenyi Biotec’s imaging portfolio and will be presented at the AACR Annual Meeting 2019 in Atlanta, Georgia, USA (from March 31, 2019, at booth 2936). The benchtop instrument performs a fully automated iterative fluorescent staining, imaging, and signal erasing process, using multiple fluorochrome-conjugated antibodies per cycle. A harmonized portfolio including Miltenyi Biotec’s range of validated antibodies, e.g., REAfinity™ Recombinant Antibodies, specifically designed disposables, and the MACSima™ Software ensure a failure-free automated process. Resulting image stacks can then be analyzed on the fly, even when the iterative process is still running. 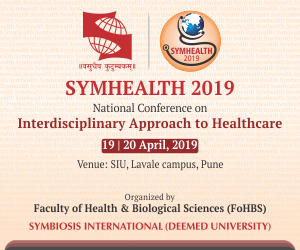 Basic and biomedical research, specifically drug-target and biomarker discovery as well as deep phenotyping, will be the major fields of application. Based on a revolutionary technology, this platform enables the simultaneous analysis of an unprecedented number of markers in a single sample, even on the desired sample area. Various fixed sample types can be used as a starting material. “Using the MACSima™ Imaging Platform, it is now possible to stain and analyze hundreds of markers on a single sample, whereas so far, researchers were limited to only a few markers. Imagine a situation where you have only three pieces of a large puzzle. The new MACSima™ Platform enables you to get all the missing pieces so you can understand the whole picture”, states Dr Andreas Bosio, Head of Miltenyi Biotec´s Imaging Development Program. A new webpage about the new MACSima™ Imaging Platform and the early access program will go live on 1st of April with more information.